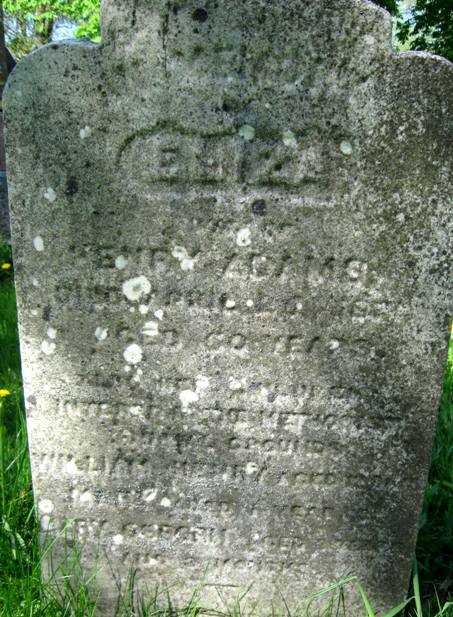 In memory / of / Eliza / wife of / Henry ADAMS / Died April 26, 18.. / Aged 60 years / ? / William Henry aged 12 mos? / Mary aged ? years / ? aged / ? and? months?